Revolver is a bi-monthly publication packed with compelling, exclusive photos and edgy editorial. Revolver provides unprecedented access to the bold and hard-hitting music that is selling out arenas and dominating radio. We take the reader backstage, on the tour bus, and into the artists&#39; home to provide an in-your-face, high energy perspective. 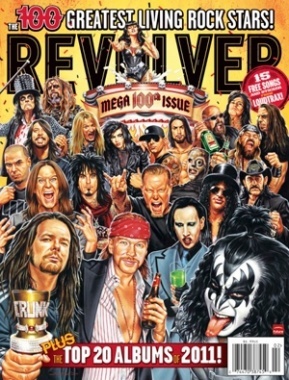 The world&#39;s loudest rock magazine!